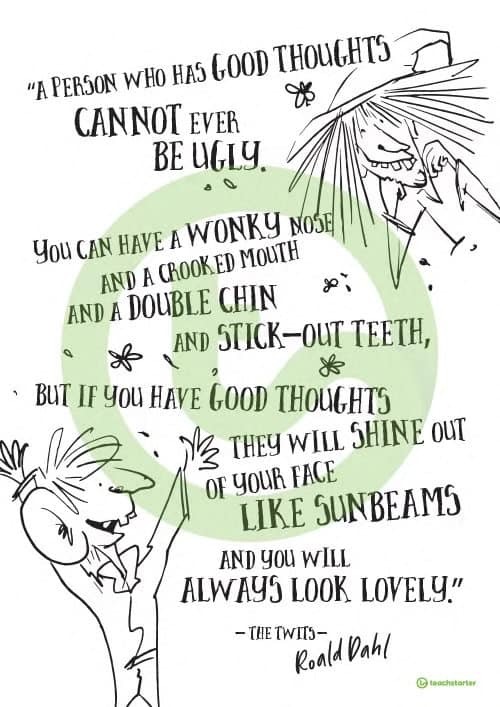 Our happiness focus continues this week and in Assembly I introduced the ‘Thought of the Week’ as penned by the extraordinary wordsmith, Roald Dahl. We have been thinking about happiness and what is important for the children to be happy to live a fulfilled, rich life, as well as what happiness looks like. I certainly do see happy children as I spend time with them in classrooms, lunch and at break times. I teach in Reception on a Monday afternoon and I, quite simply, feel very happy when I am there. Last week in Art the children were following instructions to draw a cow. Step one: draw the head like this…. (demonstrate) Step two: draw the body like this … demonstrate etc. The children drew wonderful cows and were then able to colour them in while I worked with another group. I presumed (totally incorrectly as I then found out) that they would continue to follow the example for colouring (black and white markings, pink udders, black hooves) but NO! “Mrs Johnston I have finished!” exclaimed one young lad, brandishing on high his superbly coloured cow – expertly coloured in turquoise, pink and purple and sporting a hot pink bandana across the eyes – superhero style. Goodness me! What joy! 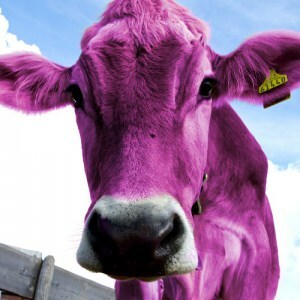 A superhero cow. Moments like this cannot be bought or planned but are just brilliant. Lots of music and sport is happening this week – please read the information letter carefully. There is a Pre Prep concert on Tuesday 5 February, a concert at Lympstone church on Thursday 7 February and a day out at Wellington for the orchestra on Friday 8 February. Finally, results are starting to come in for our pupils who have sat their 13+ entrance exams over the last few weeks. We have 8 successful at Exeter school with 2 of the top academic exhibitions and a Music Scholarship, 8 successful at The Maynard with scholarships still to be confirmed, a music scholarship to Clifton College, a Sports and All Rounder with Sports scholarship to Taunton School and pre-test success for some of our Year 7s at Sherborne and Bryanston. Some of Year 8s are off to Wellington School next week to sit scholarships in music and sport. We will keep you up to date and wish them well. When all of the results are in we will publish them in full.